Note: This pocket book is available in several languages: English, German, Dutch. Since 2001 the Van Haren Publishing ITIL Pocket Guides have helped readers all over the world to understand the essentials of ITIL (IT Infrastructure Library), the leading framework for IT service management. 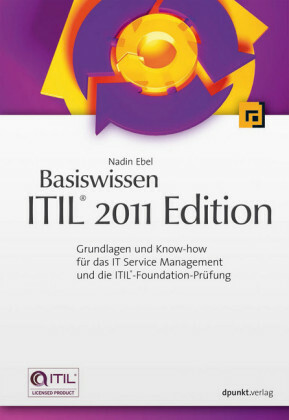 This pocket guide does exactly the same as previous editions: offering a concise summary of ITIL, based on ITIL® 2011 Edition. 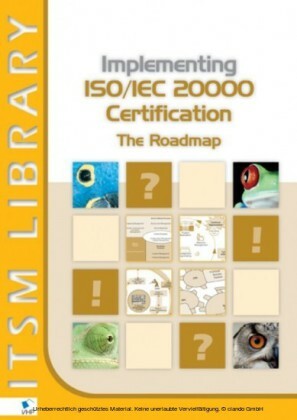 We have condensed the full ITIL framework, found in 2000 pages, into just 200 pocket-sized pages! 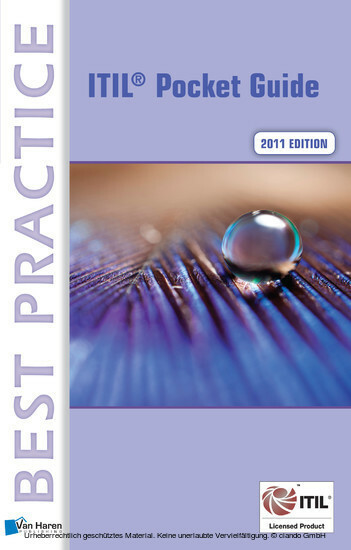 It means that this book is an essential time-saving and cost-effective guide to ITIL 2011 Edition -- for both industry experts and students alike. Primarily it is a quick, portable reference tool to ITIL for all professionals in the service management community. What is the 'lifecycle' approach? What are the key service management processes and functions? Secondly the ITIL pocket guide can be used as part of the training material for everyone who wants to certify for the ITIL Foundation exam. The guide contents cover all of the specifications of APMG's ITIL Foundation Certificate syllabus. By this book is a separate file (free, via internet) available: - All images in the book, in Powerpoint format. 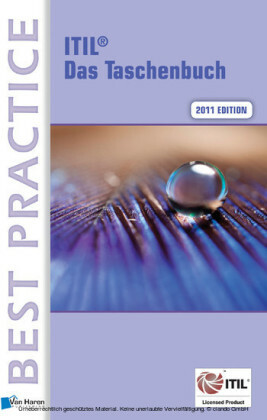 Click on the button Training Material by the book on our website. ITIL is presented as " best practice" . 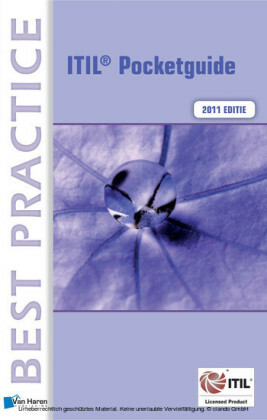 Best practice is an approach or method that has been proven in practice. Best practices can be a solid backing for organizations that want to improve their IT services. - Service management - A set of specialized organizational capabilities for providing value to customers in the form of services. - Service - A means of delivering value to customers by facilitating outcomes the customers want to achieve without the ownership of specific costs or risks. Outcomes are possible from the performance of tasks and they are limited by a number of constraints. Services enhance performance and reduce the pressure of constraints. This increases the chances of the desired outcomes being realized. - Value - Value is the core of the service concept. From the customer's perspective, value consists of two core components: utility and warranty. Utility is what the customer receives, and warranty is how it is provided. The concepts "utility" and "warranty" are described in the Section on service strategy. Internal customers are people or departments who are part of the same organization as the service provider. These customers may be business units, departments, teams, or any other type of organizational unit. External customers are people who are not employed by the organization, or organizations that are separate legal entities. The agreements between a service provider and external customers are legally binding contracts. External customers pay with 'real money' (or goods). Both internal and external customers must be provided with the agreed level of service, with the same levels of customer service. There also are internal and external services. Internal services are delivered to customers in the same organization. External services are delivered to external customers. - the impact that changes in one component will have on other components and on the entire lifecycle system. Thus, ITIL focuses on the service lifecycle, and the way service management components are linked. Processes and functions are also discussed in the lifecycle stages. The service lifecycle consists of five stages. Each volume of the new core ITIL volumes describes one of these stages. The related processes are described in detail in the stage where they have the strongest association. 1. Service strategy - the stage that defines the requirements for a service provider to be able to support the business requirements. It describes the strategy of delivering and managing services to the customer, in the perspective of added value to the customer's business.